The Clothing Industry Training Authority (CITA) took pride in being appointed by the Quali¬fications Framework Secretariat as the professional writer to draw up the Specification of Competency Standards (SCS) for the Hong Kong fashion industry. The SCS aims to establish benchmarks for industry-specific competencies, and facilitate the implementation of the Qualifications Framework in the Hong Kong fashion industry. In the long-term, it can promote lifelong learning and cultivate a pool of competent and competitive workforce to drive the growth of the industry. CITA has been able to race against time and complete the draft SCS, consisting of 233 Units of Competency (UoCs) distributed in 6 functional areas at QF levels 2 to 7, within 23 months with the concerted effort of the writing team and the industry-wide participation and support. Industry practitioners and stakeholders can now access and make suggestions to both Chinese and English versions online at the Fashion Industry Training Advisory Committee (ITAC) website (www.hkqf.gov.hk/fashion/en/scs/Consultation/index.html) within the industry consultation period (1 May 2018 to 31 July 2018). 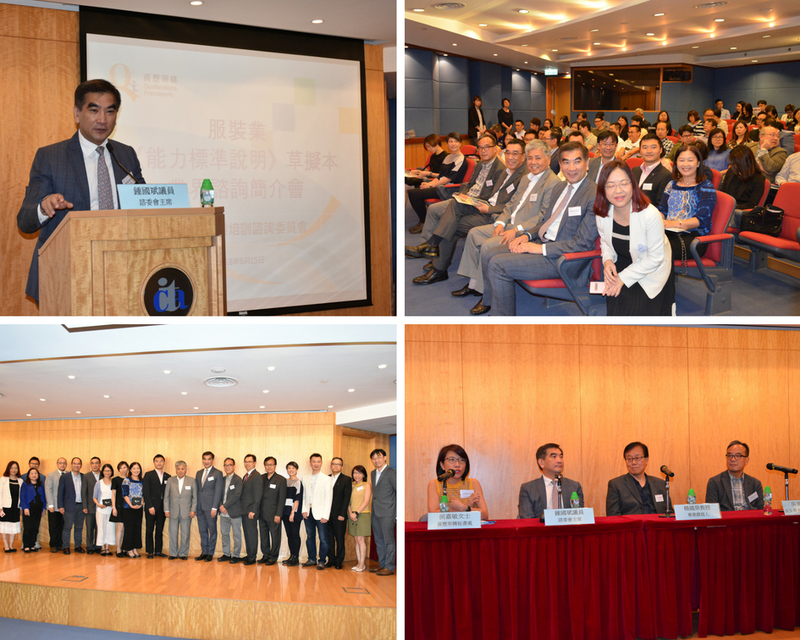 On 15 June 2018, a consultation session for the draft SCS was held at CITA to introduce the SCS to the industry practitioners and stakeholders. Prof. Philip Yeung, the Executive Director, and Dr. Betty Li, the Programme Director, had offered their insights about the value and benefit of the SCS to the different users in the fashion industry. The consultation session was well-attended by over 100 representatives from employers, employees, professional and government bodies, and training providers of the industry.